Keep up to date with all the latest famils and agent deals with our handy agent wrap! It’s the best way to kick off your weekend, paired with a sneaky wine. Bunnik Tours, Australia’s Small Group Touring specialists, are about to wrap up an eight-day famil, where eleven lucky travel professionals are exploring Kenya the ‘Bunnik Way’. 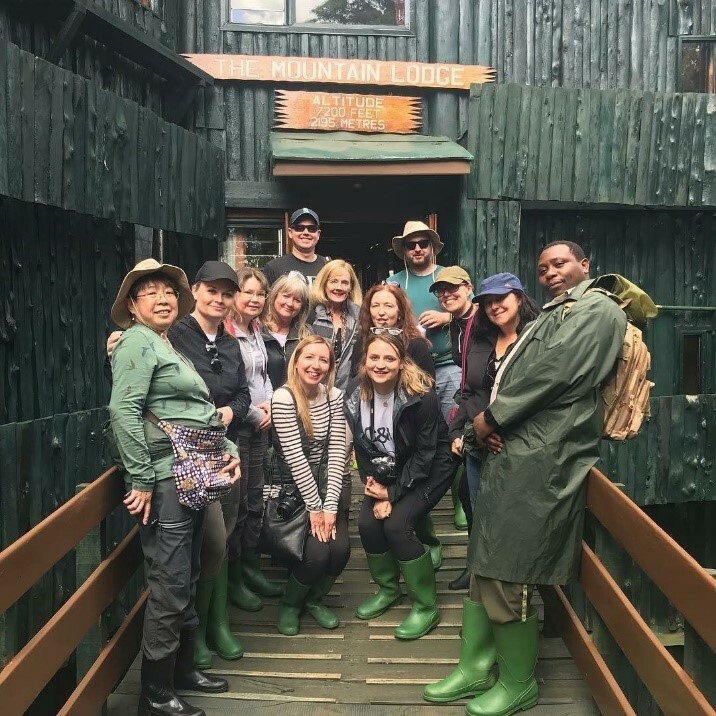 Lead by Lisa Hunt, Bunnik Tours Business Development Manager (VIC/TAS), the group began their journey in Nairobi, heading to the David Sheldrick Wildlife Trust, a rehabilitation centre for many wild species. After driving north through stunning farming areas, the group arrived at Samburu National Reserve, home to reticulated giraffe, Grevy’s zebra, and the Somali ostrich. The next stop, Mount Kenya National Park, included a nature walk through the forest with a local ranger. The group enjoyed game viewing in Lake Nakuru National Park before moving onto their final destination, Maasai Mara. One of the world’s finest game reserves, Maasai Mara’s landscape is characterised by wide open plains, which makes it perfect for spotting elephants, giraffes, wildebeest and gazelles. With our maximum group size of just 12 people in Africa, travellers will always have access to a window seat. They will also spend less time waiting for others and more time with the tour guide. People are drawn to Vietnam for its friendly people, rich culture and beautiful scenery, but for many, the greatest drawcard is its mouth-watering cuisine: an enticing combination of fresh ingredients that produce flavours that dance on your tongue. 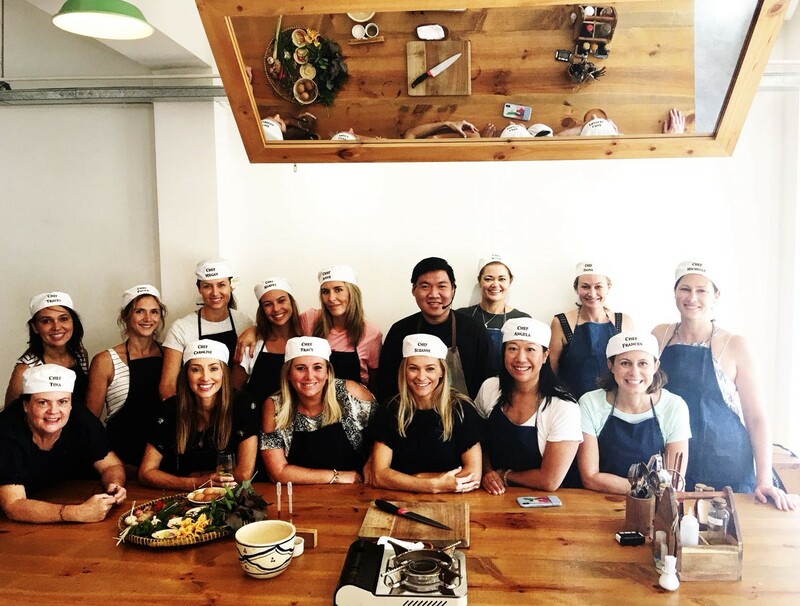 When TravelManagers’ Frances Cream joined forces with local Gold Coast chef, private caterer and café proprietor, Angela Barany, to create a small group culinary tour of Vietnam, the pair quickly realised that they had created a recipe for success. Cream, who is representative for Southport, QLD, joined TravelManagers after several years away from the travel industry, and first met Barany as a client when she was arranging her honeymoon. Exotic street food tours, authentic restaurants and local markets also featured on the six-day itinerary, along with other activities such as cycling through rice paddies, a sunset cruise, yoga, massages… “and of course, time to shop”, adds Cream. China is already a bucket-list item for many holiday-makers but as eight lucky Travellers Choice agents recently discovered, there is so much to see beyond the Great Wall. Hosted by Wendy Wu Tours and Malaysia Airlines, the agents experienced many of the country’s highlights including walking the Juyongguan Great Wall – named ‘the most magnificent pass in the world’ in ancient times – taking a 340kph bullet train ride from Shanghai to Beijing, and learning about the age-old process of silk-making. Win 1 of 8 spots to win on a famil to French Polynesia with Elegant Resorts & Villas and Air Tahiti Nui! Elegant Resorts & Villas in association with our partners Air Tahiti Nui and Tahiti Tourisme are proud to announce their French Polynesia FAMIL for 2019. To qualify agents simply need to book holiday packages with Elegant Resorts & Villas to French Polynesia including Air Tahiti Nui flights before the 30th of November 2018 and complete the new Tahiti Specialist program with Tahiti Tourisme (launching 2019). The famil will take place from 21 – 28 February 2019. The winners will be announced on December 1 2018. Tourism New Zealand and Air New Zealand have partnered for the 100% Pure New Zealand Specialist famil – the biggest trade familiarisation to New Zealand in 2019. Travel agents from across Australia are invited to apply for the exclusive famil which will see 100 agents experience one of 10 itineraries across 25 regions in New Zealand from 22-28 March 2019. The selected agents will travel across the Tasman with Air New Zealand before they immerse themselves in a hands-on itinerary, aimed to bolster their knowledge of New Zealand as a holiday destination. 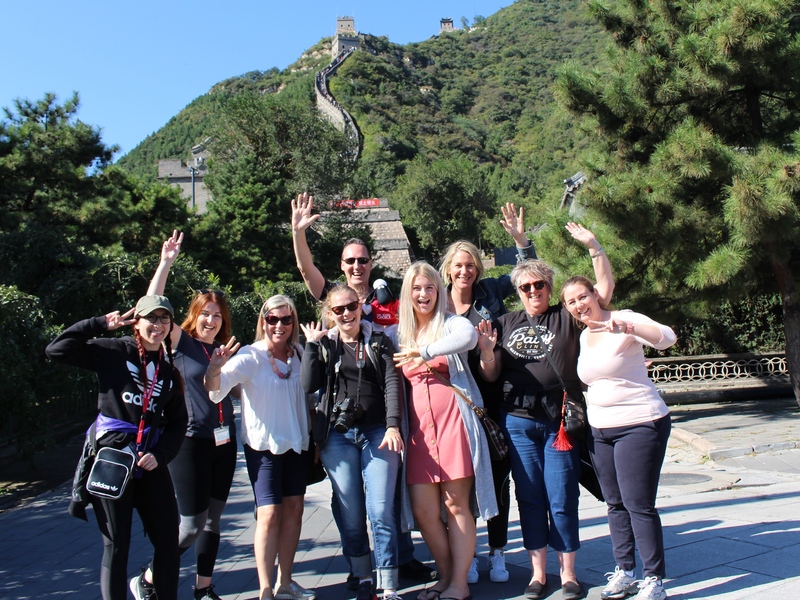 Each seven-day itinerary has been designed to give agents an experience that mirrors an Australian holidaymaker, enabling them to build specialist knowledge and share it with their customers. 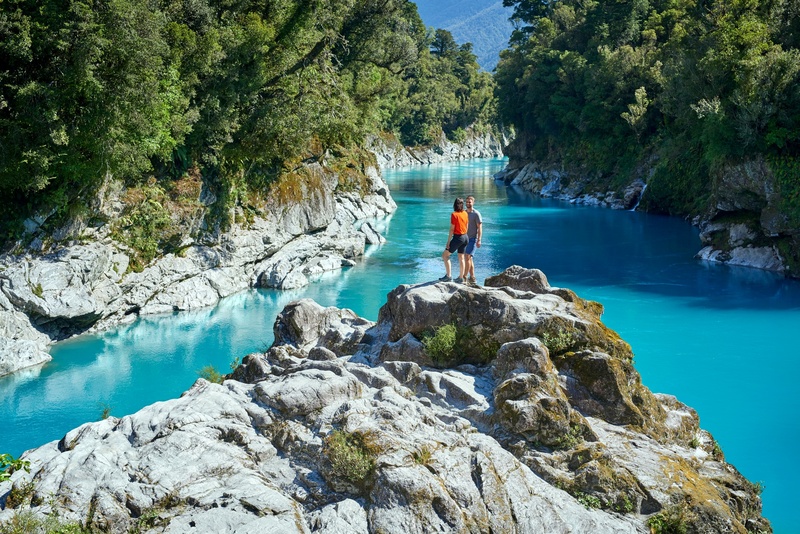 From immersing themselves in Maori culture in Northland, to exploring one of New Zealand’s Great Walks, or getting up close and personal with kiwis on Stewart Island, each of the itineraries is designed to showcase the diverse experiences travellers can have in Aotearoa (New Zealand). The final day of the famil will see all 100 participants regroup in one city, to meet destination representatives from across the country and learn about the unique highlights of each of New Zealand’s distinct regions, finishing with a celebration of the newly-certified 100% Pure New Zealand Gold Specialists. Applications to join the famil are now open at www.traveltrade.newzealand.com. To be eligible, agents must complete 10 online modules of the 100% Pure New Zealand Specialist Programme, and book a trans-Tasman Air New Zealand flight before the 20th January 2019. For more information, check out the New Zealand Specialist online hub here. 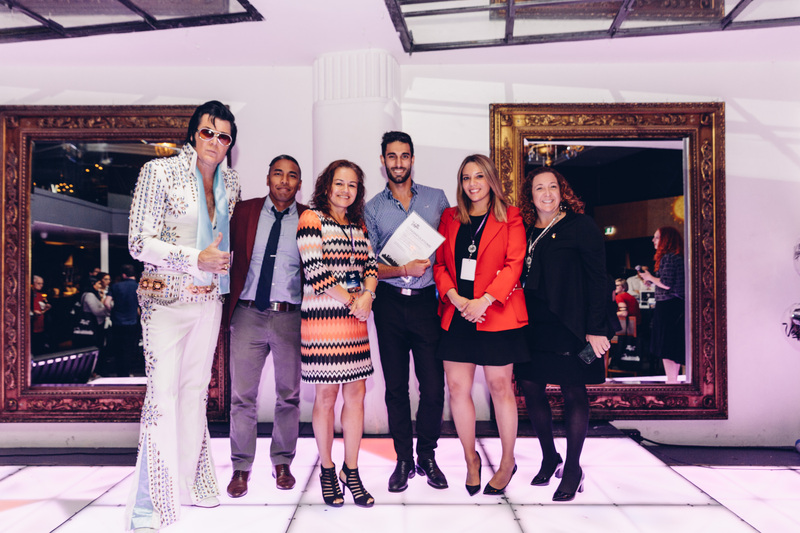 The Las Vegas Convention and Visitors Authority (LVCVA), together with 10 partners from Las Vegas, hosted close to 200 agents at roadshow events across Australia last week showcasing all that’s new in the ‘Entertainment Capital of the World’, Las Vegas. Spanning the west to east coast of Australia, the national tour included events in Perth, Brisbane and Sydney. At the events, attendees were able to mix and mingle with the destination’s top resort and attraction providers, including MGM Resorts International, Caesars Entertainment, The Cosmopolitan of Las Vegas, Cirque du Soleil, Graceland Wedding Chapel, My Ultimate Vegas, Machine Guns Vegas, Wynn Las Vegas and Encore, Tropicana Las Vegas and Papillon Group. Guests also enjoyed delicious food and beverages and an interactive game of trivia, designed specifically to test the agent’s destination knowledge. During the events agents competed for an array of prizes, including the major prize in each state which included flights from airline sponsor, Delta Airlines. Save up to 30% on select 2019 sailings with Uniworld’s Our Best Offer promotion! Your clients can enjoy these savings on the 8 day Brilliant Bordeaux luxury river cruise where they will uncover the proud legacy and heritage of Southwest France as they set sail along three stunning rivers, the Garonne, Dordogne and Gironde, on one fascinatingly historical and invigorating journey through Bordeaux, Cadillac, Pauillac, Blaye, Libourne and Saint-Émilion. Starting from $4,339 per person, 8 days of an all-inclusive trip, including captivating escorted excursions, services of an experienced Uniworld Cruise Manager and more! This offer is on sale from 8 November until 31 December 2018 and reflective of departure on the 30 June 2019. Other departures available, prices may vary. For more information or to book call 1300 780 231 or visit www.uniworld.com *Conditions Apply. An Art Lover’s Taste of Europe is a 15-day cultural journey where guests will visit some of the best art galleries and museums in Europe while enjoying the sights and tastes of a selection of Europe’s most loved cities. Guests will take in the best of Paris, Basel, Amsterdam, Milan, Florence & Rome on this trip. Make sure you tell your clients to get in quick as this special interest trip has One Departure Only! Starting from $6,995* per person, twin share. This offer is on sale now until 31 January 2019 for departure on 6 October 2019, or until sold out. For more information or to book call 1300 727 767 or visit www.insightvacations.com *Conditions Apply. Save more than $550 per person with Trafalgar’s current Early Payment Discount offer. Enjoy these savings on Trafalgar’s 12 day Land of the Incas travel itinerary. Explore the vastness of Peru traced from its Pacific edge to the mountain fortresses of the Incas on this trip from Lima through Machu Picchu, Cusco, Puno, Lake Titicaca and Paracas. Take to the skies to soar above the coastal desert of Peru to see the enigmatic Nazca Lines, gigantic geometric designs viewable only from the air. Starting from $5,598.70* per person (discount included). This offer is on sale now until 28 Feb 2019 for select departures between 8 Jan – 3 Dec 2019. For more information or to book call 1800 787 878 or visit www.trafalgar.com *Conditions Apply. Guests will explore some of the most remote and largely unexplored islands in the world with Adventure World Travel on the 5 day Andaman Islands Discovery travel itinerary. This unique journey will introduce them to the beautiful and remote Andaman Islands, offering spectacular turquoise waters, pristine stretches of sandy beach and fascinating history. With a lush rainforest interior, there are plenty of opportunities to relax and unwind, or explore at your own pace in a tropical paradise. Starting from $849* per person twin share. For more information or to book call 1300 363 055 or visit www.adventureworld.com *Conditions Apply. Save 10% on AAT King’s Guided Holidays in Australia when you book and pay in full by 31 January 2019. If Tasmania is on your must-do list, the 10 Day Tasmanian Wonders itinerary offers the ideal introduction to the island state. You will travel on a round trip from Hobart through Russell Falls, Queenstown, Strahan, Cradle Mountain, Smithton, Launceston, Bicheno and Port Arthur. Starting from $3,083* per person (discount included). This offer is on sale now until the 31st of January 2019 for select travel dates between 1 April 2019 – 31 March 2020. For more information or to book call 1300 556 100 or visit www.aatkings.com *Conditions Apply. Save up to $640* per person with Contiki’s Early Payment Discount when you pay in full by 30 November. Discover Thailand completely free of compromise on Contiki’s 16 day Total Thailand adventure through Bangkok, Kanchanaburi, Chiang Mai, Pai, Khao Sok, Koh Lanta and Phuket. Bringing together the best of North and South, this trip lets you explore lush green jungles, quaint villages and palm-fringed islands. Starting from $3,672* per person (discount included). This offer is on sale now until 30 November 2018 for select departures between 8 April 2019 -23 March 2020. For more information or to book call 1300 266 845 or visit www.contiki.com *Conditions Apply. Save 10% on Busabout’s Asia Trips! Enjoy these savings on the 8 Day Northern Vietnam Adventure. You’ll be surprised by what you can learn in Vietnam. You find out how to cross mad-motorbike-ridden roads without blinking, discover the between a bajillion varieties of noodles and indulge in the secrets of ancient temples. On this adventure through Northern Vietnam, we teach you all these life-lessons and more. Make Vietnam your classroom while you unearth the UNESCO World Heritage caves of Phong Nha Ke Bang, reveal the secrets of Hue’s temples, and study the ancient streets of Hoi An. Starting from $944 per person (discount included). This offer is on sale now until 31 January 2019 valid for 2018/19/20 departure dates listed in the 2019 brochure. For more information or to book contact http://www.busabout.com or call 1300 287 226. *Conditions apply. 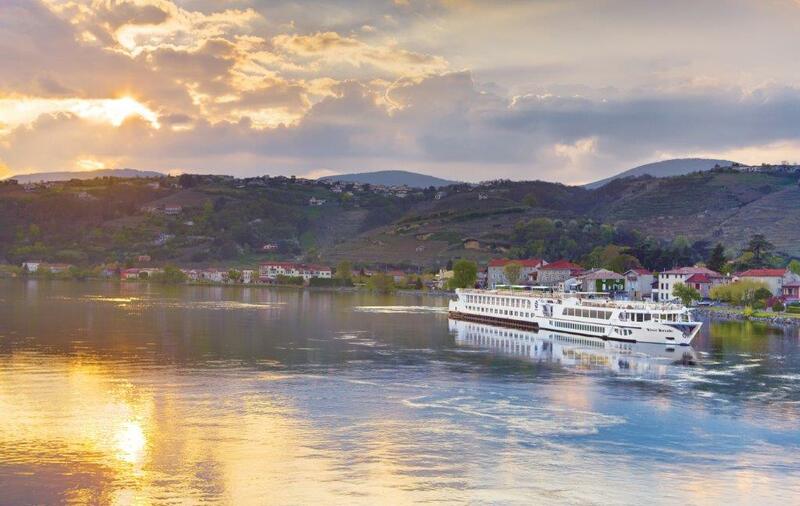 Save 20% on select 2019 U by Uniworld cruises with Our Best Offer promotion! Travellers can enjoy these savings on the 8 day Rolling on the Rhine cruise itinerary where Amsterdam is just the beginning. On this cruise along the Rhine river, travellers will have three days to spend in this laid-back and forward-thinking Dutch hotspot, as well as stops in Haarlem, Cologne, Koblenz and Frankfurt. Starting from $1,975* per person, twin share (discount included). This offer is on sale from 8 November until 31 December 2018 for departure on 20 & 27 April, 4 May and 13 & 20 July. Other departures are available, prices may vary. For more information or to book call 1300 730 010 or visit www.ubyuniworld.com *Conditions apply. Agent wrap: Creative Cruising incentive, agents take on California + more! What’s better than reading about agents on cool famils and winning free stuff? Finally reaching Friday! Just when you thought you had enough on your plate dealing with work/life balance, we’ve gone and thrown a spanner in the works to bring you work/TRAVEL/life balance. Sorry not sorry.